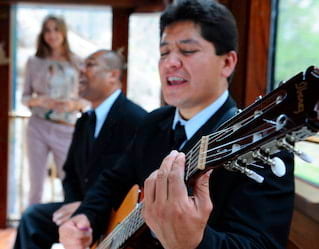 Whatever the occasion, a journey aboard the luxurious Belmond Hiram Bingham ensures an event sizzling with style. Travel as a group on one of our scheduled trips, or go all out and charter the train—our talented team will tailor the journey to suit your every need. Raise a toast to a celebration like no other aboard Belmond Hiram Bingham. 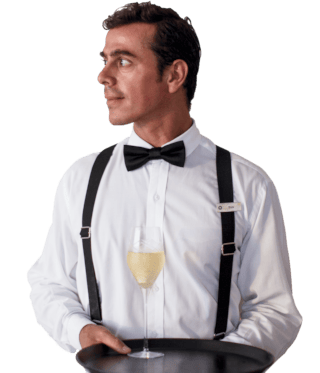 We can help you customize your trip, providing live entertainment, bespoke menus, open-bar service and welcome gifts to make your journey extra special. From the moment you arrive at the station until you reach your destination, every last detail will be taken care of. Share a magical journey exclusively with friends, loved ones or business partners by chartering Belmond Hiram Bingham. 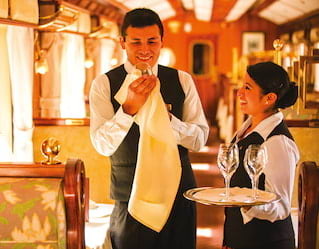 Reserve an individual carriage or charter the entire train for up to 84 guests. Our talented team can arrange onboard entertainment, delicious menus brimming with fresh local produce and exclusive gifts to give your celebration a little extra sparkle. The food, the views, the service—we’ll add a heap of extra magic to any occasion. Have something special in mind? Get in touch with our team before your journey and we'll be delighted to try and help make your dream day become an unforgettable reality.